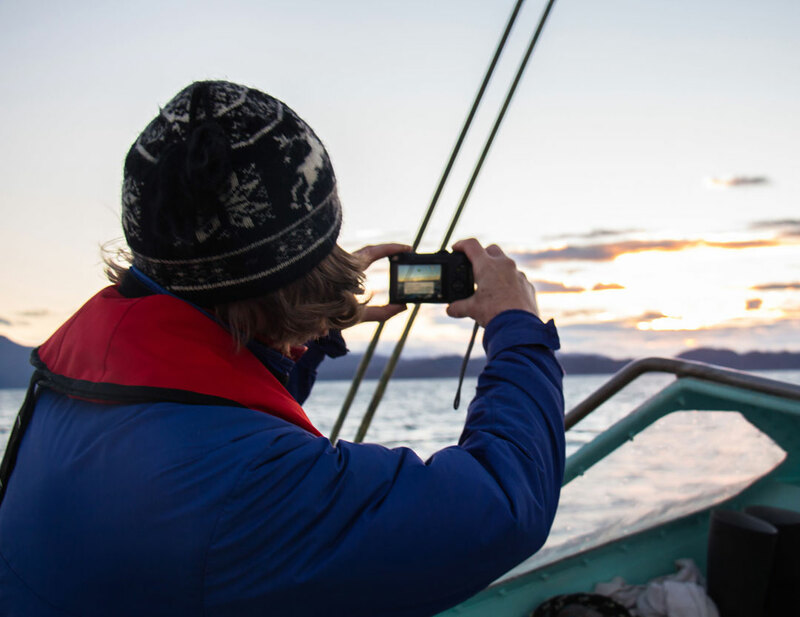 Each night we stop at a remote anchorage where we sleep onboard. 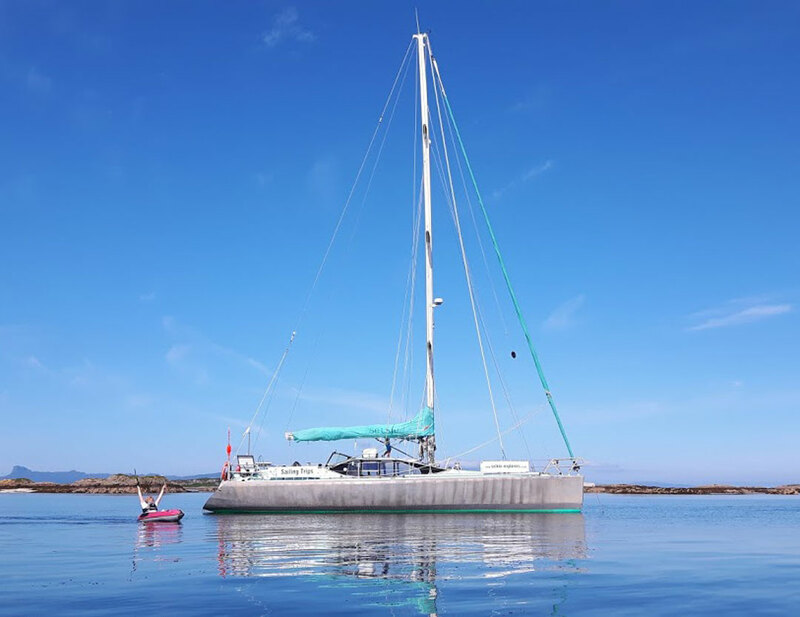 During the day, we explore and sail amongst the Small Isles and Inner Hebrides, immersing ourselves in Quigong (a Chinese holistic practice promoting health, mindfulness and “life energy”), yoga, meditation and swimming. Trips like this offer a time for reflection as well as exploration and are full of laughter and friendship. 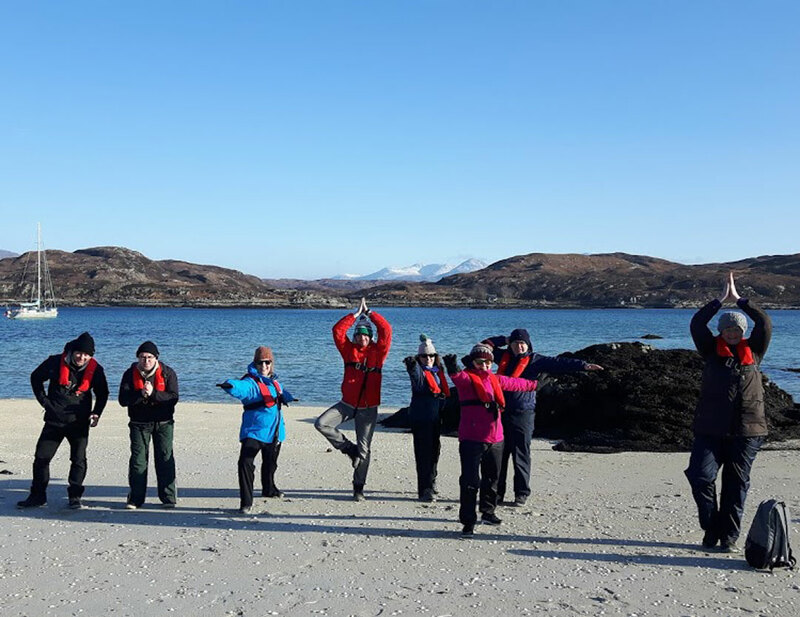 Our guests say they have come out of earlier voyages feeling enriched and enlivened, both physically and emotionally, from spending close and honest time with a group folk who share their love of mindful activities. Each voyage is different – dependent on where the winds take us and what weather we experience. 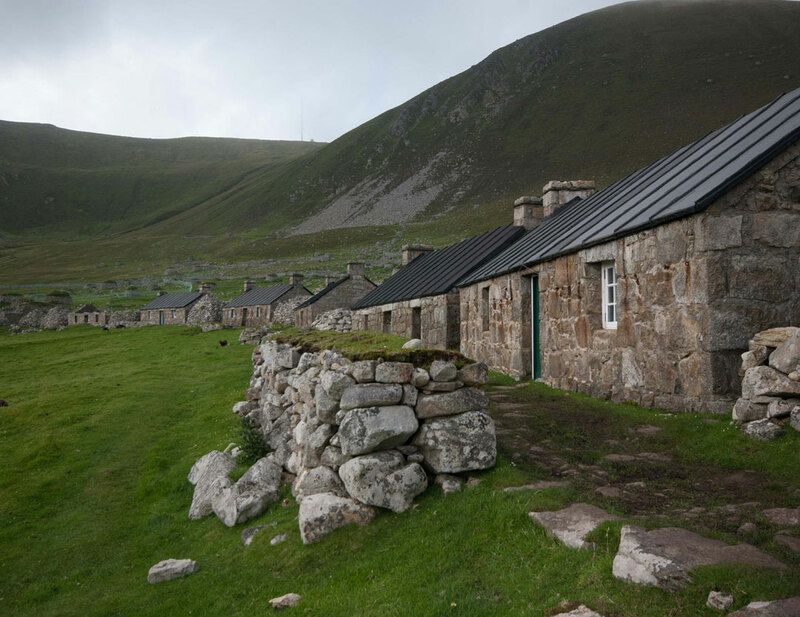 In previous years guests have found themselves felting with wool from skipper Celia Bull’s Shetland sheep sat at anchor during a storm. We made our own Selkie Stones for our Qigong practice, and Camille told us stories and myths of the islands while the gale has howled over the top of our sheltered bay and Selkie has safely cocooned us from the elements. The weather is constantly changing in Scotland and we experience gorgeous warm sunshine and cooler windier conditions too. We make use of all the weather gives us. We have in the past hiked up to island summits and practiced yoga and Qigong outside, onboard and inside community spaces or yurts – all, whether inside or outside, beautiful spaces to be in. 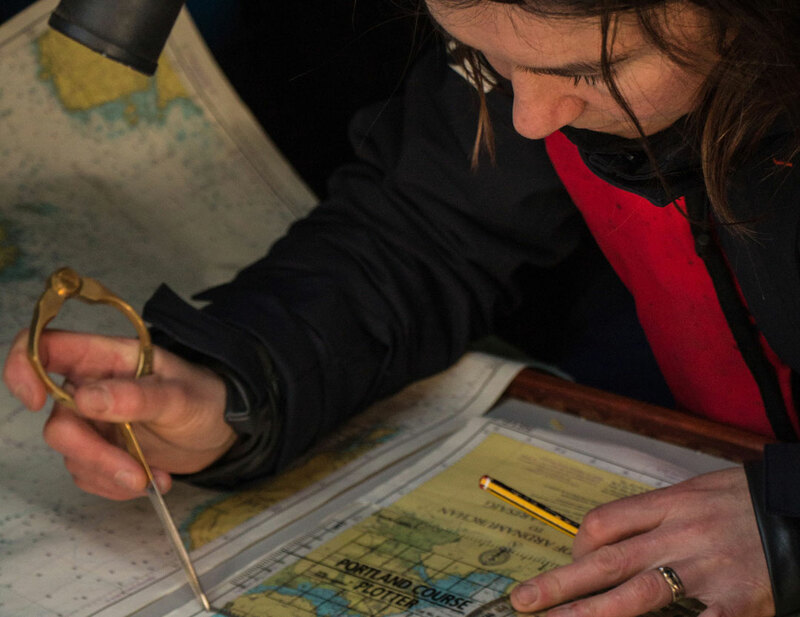 We’ve also experienced some fantastic, sunny sailing days and Celia has taught our guests how to sail Selkie, how to set the sails, helm and plot a course. By the end of our trips, everyone feels more confident and comfortable in their knowledge of sailing and the boat. Camille Dressler came to Eigg in 1979 to research the island’s oral traditions. 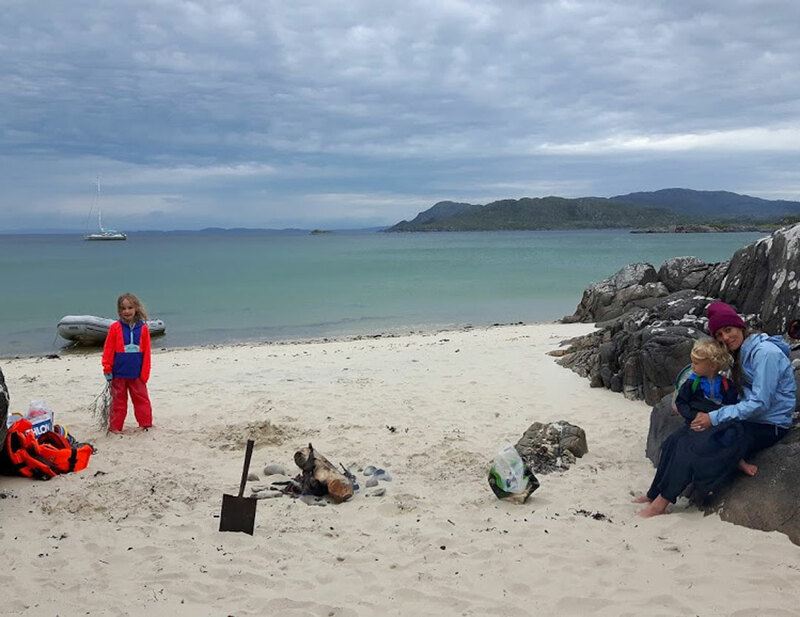 Camille was so entranced that she settled on the island, embarking on a life’s journey that took her through the Eigg community buy-out to writing the definitive story of the island, learning and teaching leadership skills and connecting with islands across Scotland and Europe. Throughout that time, eastern energy arts fuelled her journey. Founded by Bellur Krishnamachar Sundararaja Iyengar (better known as BKS Iyengar), the modern style of yoga known as “Iyengar yoga” is practised by Selkie’s resident teacher Elaine Bull, who has over 10 years’ experience of teaching classes in Derbyshire’s Peak District. The pleasure she has always derived from being active outside led Elaine to seek something to complement and balance all the pursuits she loves. She has lost none of her original enthusiasms, but has found in Iyengar Yoga a pathway to greater fulfilment and wellbeing. Elaine is currently a Junior intermediate Level 2 Iyengar teacher, and sees her development as a teacher, practitioner and person as a continuous journey towards a better state of being. “Of course I love the physical benefits of yoga,” she says, “but I quickly found that the concentration and focus that a deep yoga practice demands gives me a profound sense of calm and a break from the stresses of everyday life.” Click here to visit Elaine’s Facebook page.